If you’ve dreamt about turning your passion into your business, this episode is for you. Jax Mariash is the founder of Stoked Roasters, a small but growing coffee roaster that took a different approach to their branding. See, Jax is also an insanely good athlete, so she combined her love of the outdoors, travel and being stoked on life with a passion for coffee. 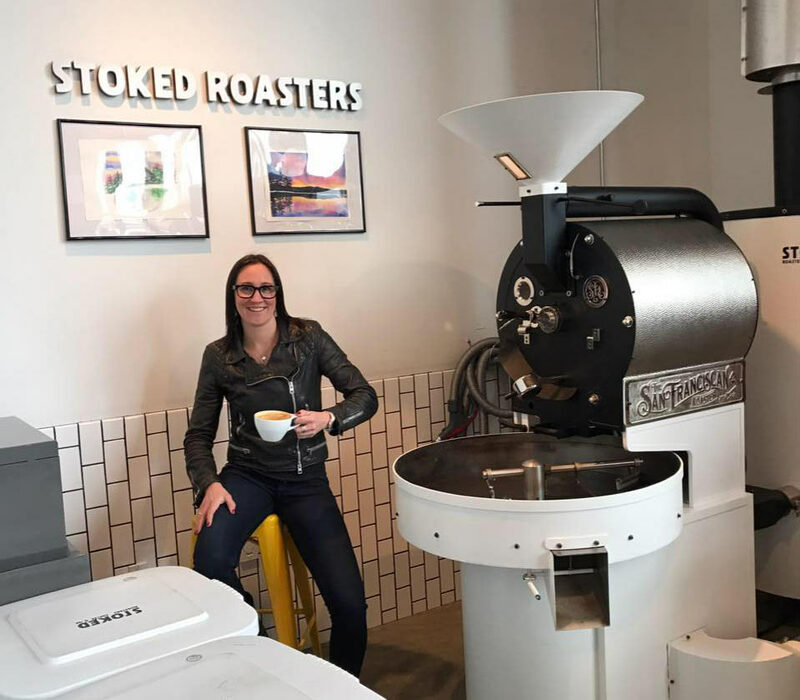 Boom, Stoked Roasters was born and in just a few short years she’s grown it to almost a million dollars in annual revenue, opened two stores and so much more. All while training and competing at the very highest level…seriously, just wait until you hear what’s she’s doing. This episode is full of inspiration, but also practical tips on creating a unique brand, hiring the right kinds of people, and expanding your retail presence. And we geek out a bit on coffee, too. So fill your cup, kick back, and enjoy this conversation with Jax Mariash! 01:40 – Why did she want to launch a coffee roaster? 04:00 – Building her marketing toolkit by working for outdoor brands. 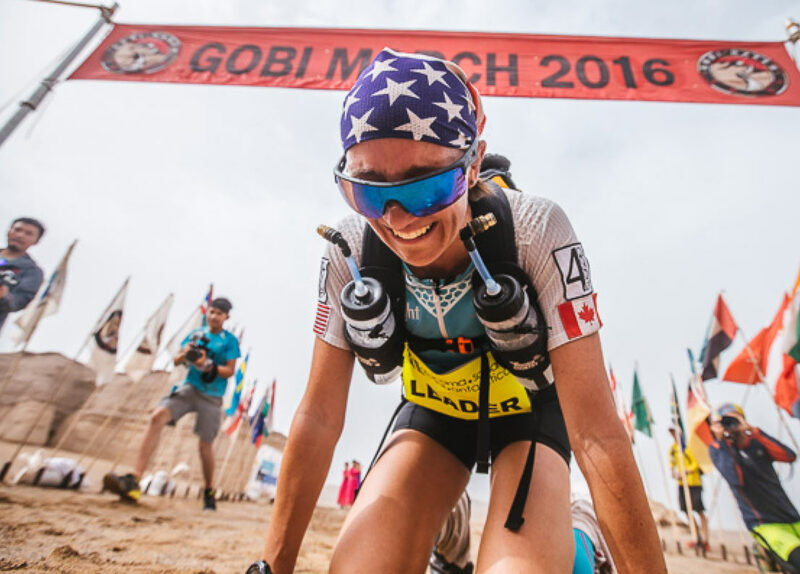 07:50 – How being a world-class ultra marathoner informs her management style. 15:20 – What makes Stoked Roasters’ coffee special? 21:02 – What’s the process from roasting to retail-ready packaged product? 26:36 – How, and how many beans, does she order? 28:15 – Learning how to launch, and details of the business. 38:53 – What actually produces the revenue? 40:18 – Managing an extremely young staff. 46:20 – Opening new locations. 48:30 – Operational issues, startup costs, and growth plans. Jax started out as a coffee runner in her first job. While that type of position can easily turn most teens OFF of a job, Jax found what she DID like about it and embraced that. It ended up shaping her future. We’re all going to have crappy jobs throughout our life, the important thing is to observe what it is you DO like and think about why. And pay attention to what you DON’T like, too, and consider why. The “why” is what you can learn from. It can teach you about yourself, and teach how not to treat employees as you build your own company. Coffee roasters, like craft beers, are exploding. So it takes something special to stand out. Jax positioned herself as the “official coffee of the outdoors”. This gave her brand an identity, which lets them build a story around what they’re doing and position themselves as something unique. This is key no matter what your industry, but especially when you have a ton of competition. It’s clear Jax has found her passion, which makes it easy for her to work long hours on top of training long hours. The trick for many people is finding something they’re so passionate about that the hours become irrelevant…they’re just having a helluva good time. The flip side of this, which we don’t talk about, is grinding through long hours because you really aren’t enjoying what you’re doing. This doesn’t have to mean working for someone else. It could be at your own company. Did you start a company because you wanted to make more money? Or because you found something you COULD do without considering whether you SHOULD do it? If that’s the case, how can you shift the business to better align with your passions so it’s fun again. Or, looking at it another way, can you make a game of refining and perfecting your current product, service or business so that the mere process of doing it better than anyone else becomes the fun part? Jax’s early experiences were happy accidents, but then she became very purposeful in selecting the right jobs and education to lead to Stoked. Rather than take classes on how to roast, she spent her classroom time learning business and entrepreneurship, which I’d recommend to anyone that doesn’t need a specialized degree. To learn the roasting process, she apprenticed with another roaster she admired. Combined with working six years in a Starbucks store, this gave her the foundation to hit the ground running when she launched Stoked. I asked about the retail mix in her stores because finding the right product selection is something all retailers worry about. The bulk of their revenue (~85%) comes from selling coffee. The rest is home brewing and consumption equipment, and branded merchandise. 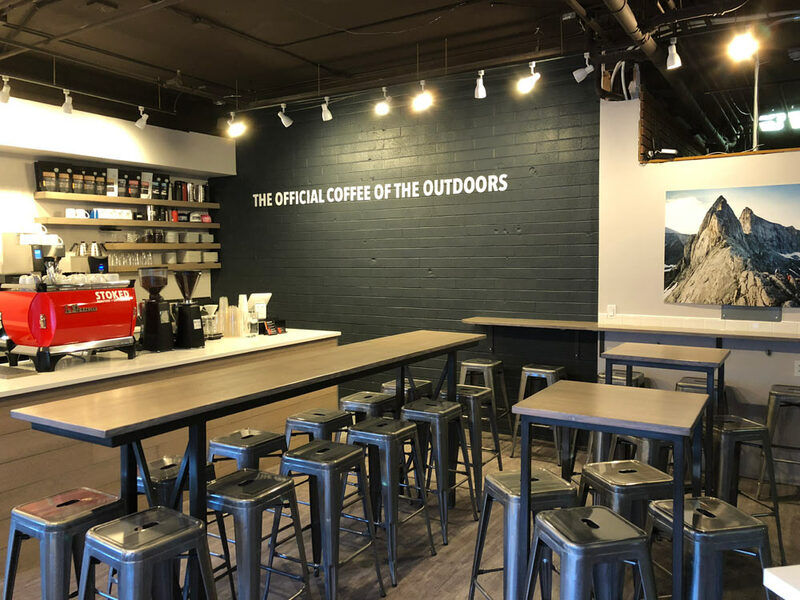 While these could be seen as distractions that aren’t moving the needle much, they help them ensure the customers are enjoying Stoked’s coffee the way it should, and helping spread the word by wearing Stoked T-shirts. Wondering how to manage millennials and Gen Z employees? Jax says it’s all about finding good employees from the outset. She grills them on why they want to be there and uses a genuine conversation to elicit the right personalities for the job, then trains for skills. This method is growing in popularity because it’s harder to get people to buy into your culture just because they have the skills, than it is to train a true fan to do the job. I like her thinking around growth. She’s aware of the opportunities, which include growing the retail coffee shop base, growing their whole bean bagged coffee business and online sales of instant coffee. Parting advice? I actually think her use of running as meditation is a great practice all entrepreneurs could use. It could be cycling (my method) or any other form of exercise, but getting your blood flowing and your mind and eyes away from a screen for a 20-30 minutes does wonders to get the creative juices flowing. Get her Stoked Stix single serve instant coffee packs on Amazon. They sell Hydroflask thermal mugs to reduce and reuse. They use Google Docs, email and DropBox to keep their team working together.